Congratulations to Shemah, Ane, LJ (CT), Bem Bem, Monica, Twinks, Roxy, Bill, Elai and Nessa! Recent blog post: Another Tsunami on 22 July 2009? Woo hoo Monica u are my FC meow! He he nemind u are FC Monica!! Tot u sleeping mah! I really appreciate the award and lotsa hugs and kisses and of course a bag of the finest treats for you beautiful meowies!! He he I’m here Monica! U slept edi or not? He he thanks Monica, so happy la got award here edi meow!! yeah I slept edi...just woke up mah....u?? Oh u mean u didn get my buzz buzz Mon? Ha ha yayyyyyy meow! Ur lovely badge is up sweetie, thanks for chopping! LOL! Good, then maybe we’ll see ur badge here for meowing the most this month lol! Yeah! But haven started oso so no need to start refreshing yet ROTFLMAO!! marzie, can i grab your fcc list? He he okay good! I will buzz buzz u oso for WOAFS! hahahhaha lemme see who is meowing the most currently..
Super fast right meow? He he, I oso like! Welcome Monica! I didn do la MM for MPG ha ha, but u oso didn do right? Shemah is meowing the most currently lol! I oso didn't do MM la Mariuca...the list is super long edi...lol! I hope so Mon cause tonight for sure have to work and be night owl, cannot play2 edi, cannot sleep lol! I know!!! And when the list is super long edi, got no mood right to do MM? Like we’ll be at the bottom of the list, not nice lol!!! Lazy la wan to do MM cause list so long edi! Ooopsie he he! haha cannot play2! ok lah...tonight u concentrate on yr work! hehe... oh u don't ve the top 10 droppers list here right? I don have cause I think Im not on dropaholics yet, hmmmm lemme check now! Meow! yeah no mood to do MM don't wanna be at the bottom three...hahahaha! Hahahahha same here! I told Lj oso, the moment the list gets too long, then really no mood to join la, who wants to be last right? Muahahah! So cute right, Top Meow it seems ha ha!! I oso can’t wait to feature my Top Meow next month Monica!! 10 more days Mariuca! oh no...time flies so fast!! 10 more days woo hoo! So fast right mid year edi! is it? okay lemme refresh yr page..
Of coz can Monica! MPG oso on woafs list sometimes and woafs on mpg’s widget sometimes lol! I drop the other two cards daily here at MD! Meow! 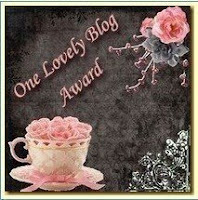 Wah, I have an adorable blog award! Yeehaww! Yay congrats Nessa and thanks for all the visits and comments here meow! Nessa! Me too catching the 8pm show woo hoo!!!! Waiting for B now Mon, he’s buying dinner so we can watch AI while having dinner yay! Hahahahah u are my Top MEOW now!!! Meow some more later lol! How many drops have I done on MEOW marzie??? did u get my buzz buzz? Oh no am I too late Mon??????? Just got ur buzz2!!! Hi Marzie just stop by to tell you i just posted the award you gave and to thank you again for such a great award.